Watch cartoons about cement mixer at SeeZisKids. Together with its friends crane, dump truck, excavator and bulldozer, cement mixer works on construction sites. Apart from working, the vehicles participate in races and often gets into amusing situations. 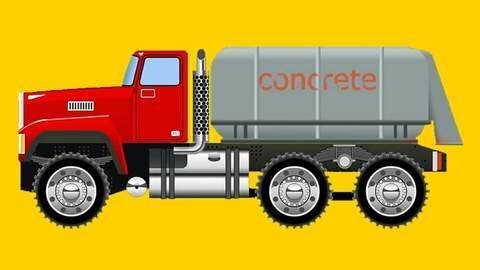 Watch cement mixer's and other construction vehicles' daily lives in these short interactive car cartoon episodes for kids. Watch full episodes of car cartoons for kids online. Funny cars and vehicles race, work, make friends and always get into amusing situations. Watch incredible adventures of Monster Truck, Police Car, Fire Truck, Ambulance, Little Pink Car, Racing Cars and their car friends in HD for free at SeeZisKids.